Welcome to the Women Police of Alaska version 2017! 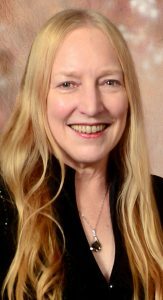 When I started in law enforcement, I was the only female officer in the department. Back in those days, uniforms were ordered from a catalog and took weeks to arrive. On my first day, they had me go through a 4-foot high pile of shirts and pants that were thrown into a corner of a closet to pick out my uniform until mine arrived. They were all men’s sizes and I looked like a little kid trying on daddy’s clothes. It’s no wonder the people I worked with gave me about as much regard as they would a kid who walked among them. In those first few weeks, I had no idea how to fit in. There was no one who would show me the ropes, tell me the tricks, or make me feel welcome. When the Women Police of Alaska was first formed, I knew I had to join. It wasn’t because I thought the dinosaurs I first worked with still ruled the earth. It was because I knew how tough it was for me to break into a male-dominated field and I felt I had some knowledge and experience that may help others in that journey. I found that women have a lot to contribute to the field of law enforcement and there are not nearly enough of us at the moment. I also learned that mentoring can be empowering to those that give as well as those that receive. 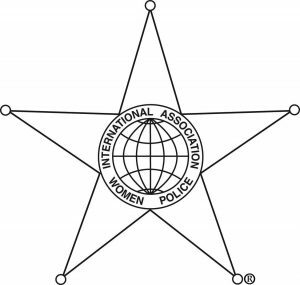 The WPA is an affiliate of the International Association of Women Police (IAWP). The international group brings together cultures and perspectives that broaden our world view of women in policing. It is not only a fantastic opportunity, but an awesome undertaking for the WPA to host the 2019 IAWP conference in Anchorage. Our theme is Mentoring the Next Generation. This particular theme was echoed in many of the classes I took at the 2016 conference in Barcelona. Mentoring is a need we share and a gift we can offer. This will be a great time to watch our unique group of members come together with a focus of providing excellent training, organizational moxie, and a spirit of enthusiasm for our state. I look forward to making over 700 new friends at the conference and hope you will join in the fun and occasional hard work to make this a terrific experience. If you aren’t a member, please join us. If you are a member, stay tuned for the world’s biggest punch list of conference chores.